This course has been written and designed especially for us, to give the Student total skills in the field of Herbalism. Here you will find the ancient art of Herbalism brought into the 21st Century. The course writer has incorporated many of ‘The Ancient Theories and Formulas’ explored within this subject, several of which have been more recently updated in the writings of Dr John R. Christopher (1909 ~ 1983). Through this extremely informative home study course, with its ‘encyclopaedic coverage’ of ‘herbal preparations’ and ‘basic health’ principals of natural healing, students will acquire an extensive knowledge and understanding of herbs and their uses in therapy treatments fully preparing them for a role as a Professional Herbalist. This course also aims to encourage everyone to take a broad and continuing interest in medicinal plants, understanding the issues surrounding their conservation and sustainability. Intend to Study Herbalism to the Advanced Level? Herbalism 2 for 1 – If you choose to order the Herbalism & Advanced Herbalism Courses at the same time we will give you the non-advanced Course for Free (Offer does not apply to payments made by instalments). Students wishing to enrol on this course must hold a Practitioner/Therapist level qualification, in Herbalism. Those who have achieved these qualifications from training establishments, other than the School of Natural Health Sciences, are also very welcome to enrol on this course. Be able to recognise and identify the more common herbs used in modern treatments, both growing and dried. Be able to classify plants according to their actions, e.g. as stimulants, astringents, and so forth, and to be able to relate the action of an individual herb to its indications in treatment. Understand the pharmacological actions of medicinal plants on the body in health and disease and know which specific tissues, organs and physiological systems are affected by administration of a given medicinal plant. Be aware of the influence of plant remedies on the psychosocial and spiritual aspects of a patient’s being. Understand and appreciate the relative merits of whole plant preparations, standardised extracts and isolated plant constituents for application in holistic treatments. Know the safe dosage range of the medicinal plants studied. Know the contraindications and incompatibilities of the medicinal plants studied. 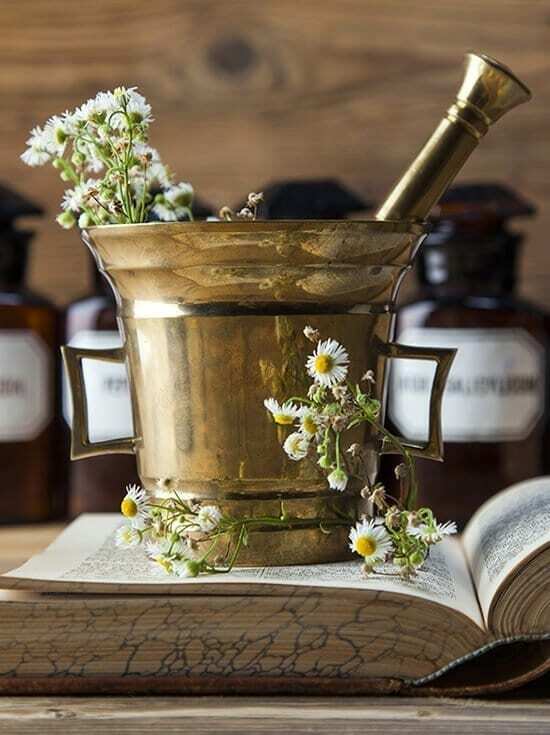 Have developed reading and research skills so that he/she will be able to continue to learn more about the materia medica of herbs throughout their professional careers. After retiring from a successful career as a Consulting Naval Architect and Structural Engineer, Tony Edwards devoted his energies to the study and practice of complementary medicine. He holds professional qualifications in a wide range of therapies including Naturopathy, Nutrition, Psychotherapy, and Clinical Hypnotherapy. Tony is the author of, and also tutors, several of the internationally respected School of Natural Health Sciences distance learning courses. These professional courses cover a range of well-established complementary therapy subjects such as Hypnotherapy and Psychotherapy, Meridian Psychotherapy, Nutrition, and Herbalism. Tony is a Member of the Association of Natural Medicine, a Member of the Nutrition Society, a Member of the British Herbal Medicine Association, and a Fellow of the British Institute of Hypnotherapy and NLP. He is a Life Fellow of Medicina Alternativa. or £95 deposit followed by 6 monthly payments of £67. or £48.75 deposit followed by 3 monthly payments of £48.75.